One of the most frustrating aspects of autism is the breakdown in communication. Children with autism struggle with the complexity of spoken language. 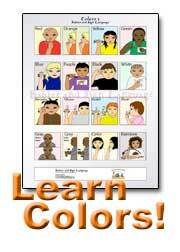 Sign language creates an avenue of communication that strengthens speech and language development. See the award winning "Essential Autism Guide For Parents and Children"
Stimulation of speech and language development The visual stimulation provided by sign language activates the same centers in the brain that are activated by speech. Many signs are iconic, meaning they are gestures that are visually associated to the object they refer to. These visual associations are easier for children with autism. Sign language acts as a bridge to speech and language by “turning on” areas of the brain that are inactive due to the breakdown in spoken language. Reduction of negative social behaviors Children with autism typically display negative social behaviors such as tantrums, anxiety, self-injury, and aggression. These behaviors are intensified when the child cannot communicate basic needs and wants. Sign language offers access to communication and eases the frustration that a child with autism feels when they are unable to express themselves! Increase in social interaction Sign language provides a way for children with autism to express themselves. It also makes it easier for your child to receptively associate gestures with meaning. Expressive and receptive language skills are the building blocks for social interactions. Children that are able to express themselves are more likely to seek out social interactions! Development of cognitive structures Sign language supports development of cognitive structures that are important for speech and language. Communication through sign helps to establish connections in the brain that are necessary for encoding language. Encoding language early is the key to learning, and learning is the key to success. Sign language is a visual mode of communication and requires the ability to focus. In many cases, children with autism have attention deficits. In severe cases, attention deficits may prevent sign language from being advantageous to children with autism. Unfortunately, sign language - depending on where it's used (i.e. geographical location) - is not always a well-known accepted form of communication. Although sign language may be beneficial to the child with autism, it may isolate that child from interaction with people who do not know or learn sign language. Luckily, it's easy enough to teach others close in your child's life a few simple signs to use and recognize. While autism can be challenging in many ways, there are many advantageous approaches to communication development. Sign language offers multiple proven benefits for children with various degrees of autism. 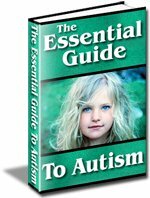 Autism affects each child in a unique way and as a result the benefits are also unique to each child. In severe cases, sign language may not provide additional communication benefit to children with autism. However, the fact that it may provide benefit offers hope and blessings to countless families. Sign language has never proven to be detrimental to children with autism, so what is there to lose? If you have ever known a child with autism, then you know the hope that communication development provides. Sign language stimulates and strengthens communication development and offers hope for families and children that are affected by autism. 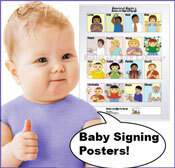 Do You Sign with Your Child or Baby with Autism? 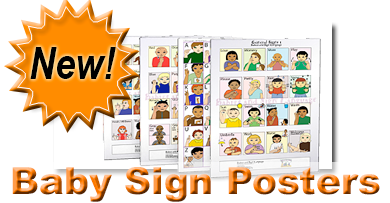 Do You Sign with Your Child or Baby with Autism? We'd love to hear about your experience! Click here to see experiences from other signing parents! My son Ramon got autism. He is 4 now. I like to learn sign language for me and my son and my other kids. He don't talk.